So, I alive and well. Well, I’m alive. I ran my first marathon today!!!! Ahhhh. I did it in 4:15:38! I wanted to do it in 4:10 and I ran with the 4:10 pace group for most of the race, but around mile 20 I started falling back. More than anything I am just glad it’s over. I thought it was going to be super cold out there before the race so I brought my gloves… and by gloves I mean socks. Hey, it works! I figured I would just chuck them when I got warm. I didn’t even end up taking them when I got out of the car since it was that bad and I didn’t want to throw away a pair of socks unless I really needed to. 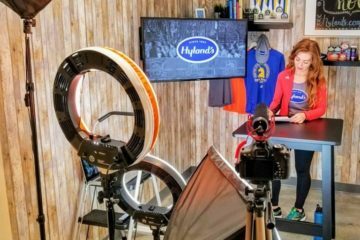 I also wore a “paper shirt” – those things they sell at the expo to wear before and during the race when you’re going to be cold, but don’t want to have to lug around extra clothes for 26.2 miles. I ended up leaving that at the start line! I guess my nerves and adrenaline were warming me up! Ben found me about 3 times during the race which was very motivating and I have a couple of good action pics! 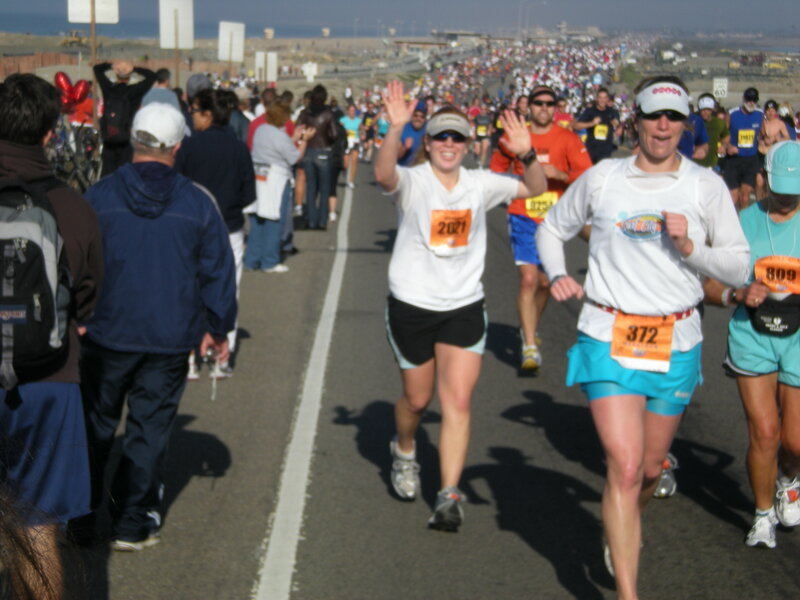 The girl to my left is Kristy, the 4:10 pacer. She rocks! I didn’t get a chance to tell her about the blog though 🙁 so she won’t even see this shout out! Around mile 16 I wanted a break and I convinced myself to run to mile 20 and I could take walk/run breaks after that. I was happy with that since I had only ran 19 miles before today so this would be the longest I had ever ran either way. I made it to just before mile 20 and started to take some walk breaks. I also walked through the aid stations to make sure I got enough water/electrolyte drinks and I brought 2 Gus that I ate during the race. My stomach started to hurt a bit around mile 16 too – so that might be part of the reason I wanted to take a break. I powered through it though! I’m bad and don’t eat Gu while training even though I take it during a race – I think this is why my stomach hurt… my body is not used to eating and running. Do as I say not as I do and eat and drink what you are going to at the race during training! I am near the home stretch here! I picked up the pace for the last mile just to get it over with. As soon as I was done with the race and I was walking through the exit station my legs felt SUPER TIRED and STIFF – that’s an understatement. It was rough to walk, and I was kinda walking weird. I don’t know how to describe it, but they just felt so stiff and weak. I know you’re not supposed to sit down right after a marathon, but walk around a bit. Luckily (?) the car was parked a bit away so we had to walk to that. It felt really good to finally sit down. Ahhhhhh!!! My garmin said I ran 26.50 miles and a few other people were saying the mile markers were a little off. Hmmm. Anyways. My official chip time is above. 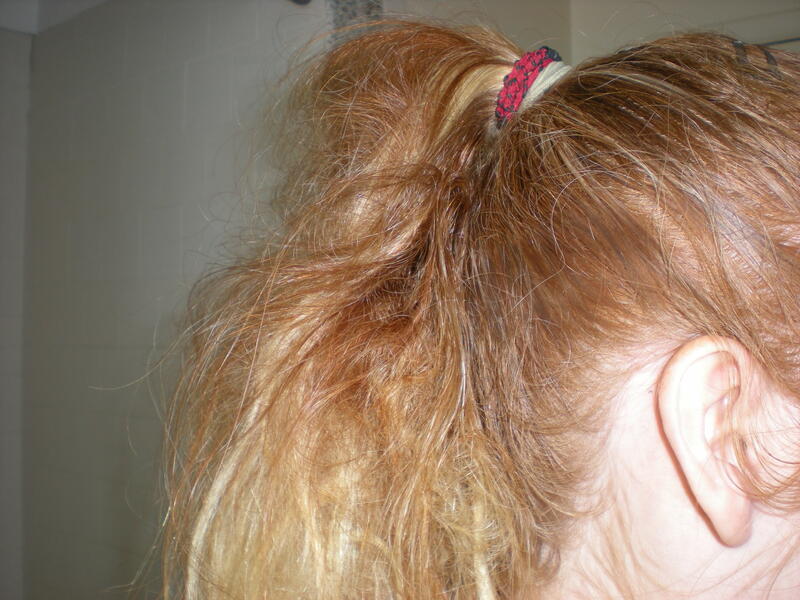 My next challenge for the day was dealing with this… my hair was super tangled!! The wind was blowing for a bit during the race and my visor has velco in the back that gets my hair caught. My hair was the biggest knotted mess. And I was so tired I didn’t even want to deal with it. I conditioned it 3 times to slowly encourage the knots to go down and finally it cooperated. Before I took a shower I sat in a bathtub of cold water for a few minutes. It was rough, but I knew I would thank myself tomorrow. The rest of the day called for refueling on whatever I felt like eating and relaxing 🙂 I’ll let you know how I feel tomorrow, I might still be running on happy adrenaline right now because I’m a little tired, but I feel pretty good considering I just ran my first marathon!! Conratulations! You make me want to run a marathon! Your hair is so funny at the end. Congratulations! 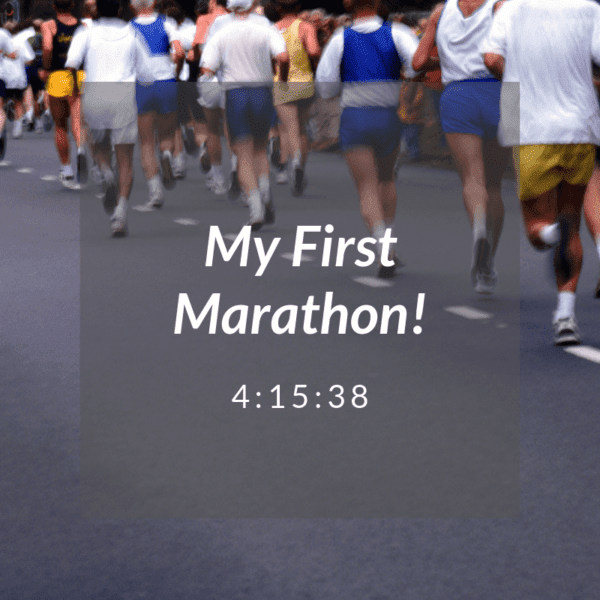 You should be so proud of that time for your first marathon!! Thank you thank you thank you!!!! I really appreciate how supportive everyone is. Thanks for reading and cheering me on! YAAAYYY!!! We are in awe. You are our hero! Welcome to the “I do crazy things I don’t really -have- to do to my body” club. 🙂 Feels good doesn’t it? Congratuations on the marathon!!! It is a truly amazing accomplishment!! I’ve been a reader for a while, but I’m unfortunately a lazy commenter, lol. way to go girl!!!! I was thinking of you yesterday when I did my half!!! Congrats! What an amazing accomplishment! Great time too for your first marathon! CONGRATULATIONS!!! i was out there running yesterday too. looks like you ran really strong, a 4:15 for your first marathon is an AWESOME time! 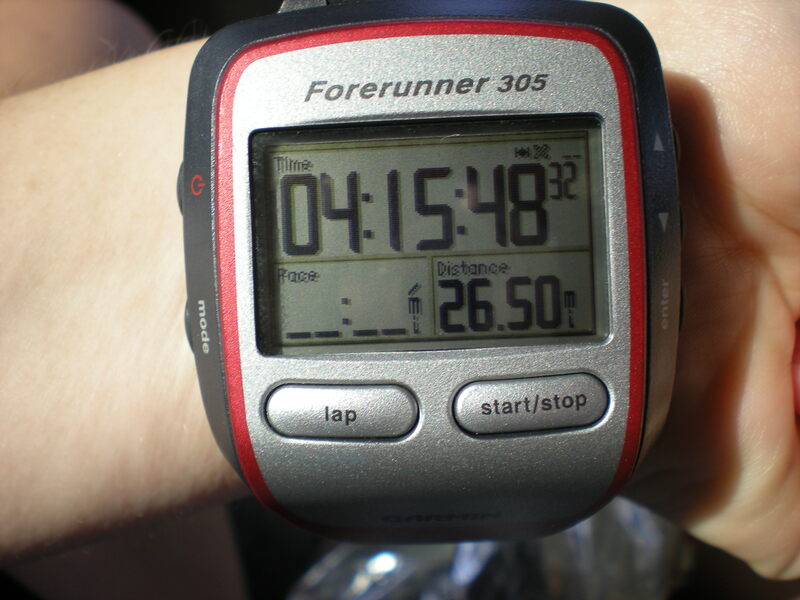 it’s normal for your Garmin to go a bit longer–mine says 26.4 (and i ran through a lot of the water stations). also … sorry about your hair 🙁 that always happened to me, so now i braid mine and hook the braid back into my ponytail. 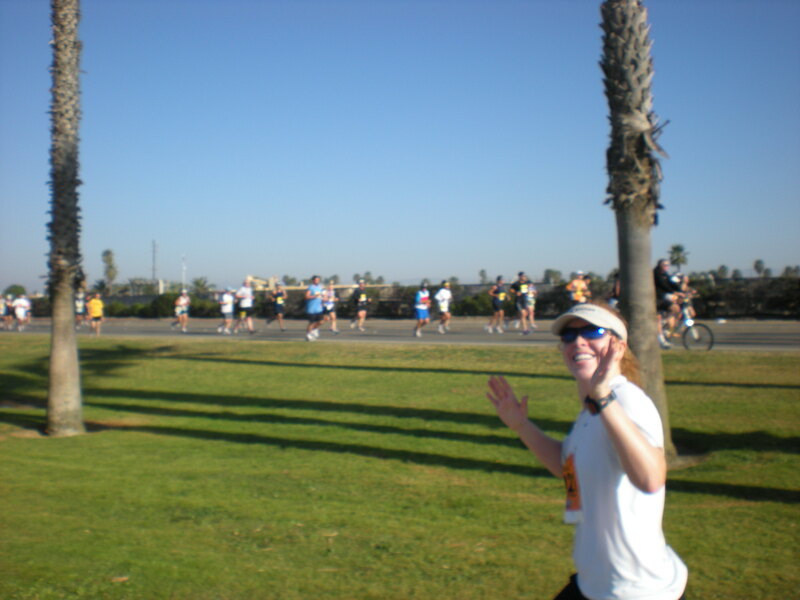 i’m definitely not the most photogenic runner out there, but it keeps the tangles to a minimum. Congratulations. I have been reading your blog for a few months. I feel kinda like I have been spying on you or something. 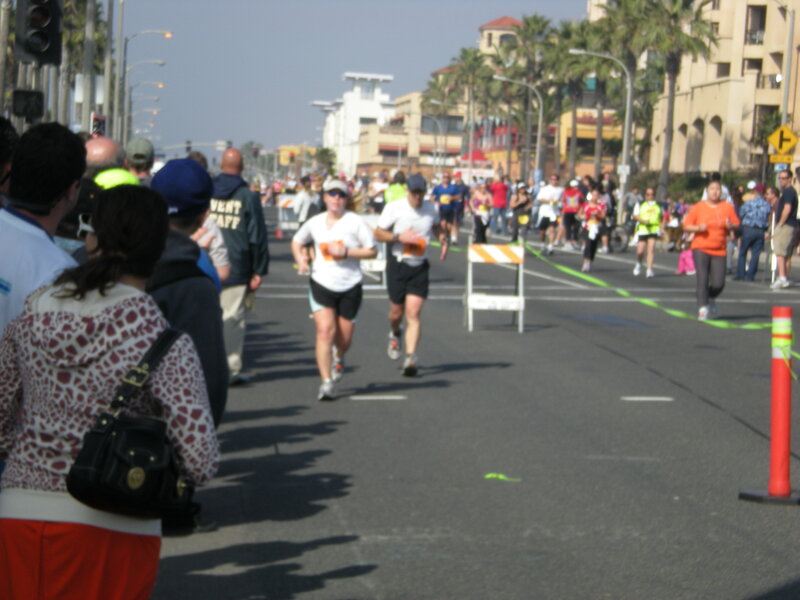 Totally awesome to complete a marathon… I think I have to do one. I have only done halfs. Congratulations! 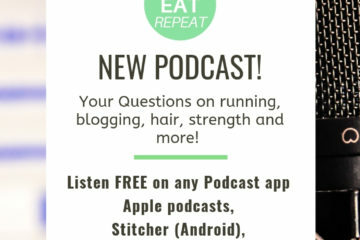 I’ve been lurking on your blog for a while and I am so excited that you have completed a real, live marathon! That is quite an accomplishment! you did it!!!!! congrats 🙂 way to tough it out and you really did a great job. the hair is hilarious, heh. i am really proud of you, you have me thinking i can run a marathon now too. i hope you are feeling OK today. CONGRATULATIONS!!!! What a HUGE accomplishment!! !